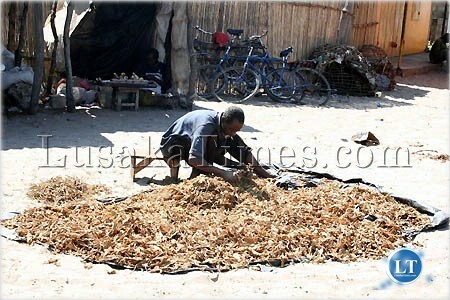 Zambia : Half the Country Faces Hunger, Parly Debates ‘Morals’? Home Politics Half the Country Faces Hunger, Parly Debates ‘Morals’? Half the Country Faces Hunger, Parly Debates ‘Morals’? ON SUNDAY I came back from a part of southern African where it rains almost daily, and is therefore very green. Having left our country in February while it was raining normally, I was expecting a very green and wet ecosystem on my return. For some reason, none of the people I was regularly in touch with ever mentioned how dry and hot it had become back here. As a researcher on the subject, I read online newspapers on a daily basis. However, none of the ‘newspapers’ ever reported the severity of the drought in Zambia. I can’t blame them. According to traditional media logic, you report the agenda set by the news markers, often the leaders. So, you can understand how shocked I was upon alighting from the aircraft to find that the country was actually dry and hot. I was shell shocked, if you see what I mean. I couldn’t believe it seeing the maize along airport road so dry that you can literary set it ablaze. Not even my two commercial farmer neighbors on Great East Road are spared. The soya and the maize, which looked so promising when I was leaving, are all destroyed. Almost total write-offs. The following day I travelled to my village farm in Mungule. As I was driving along the 35-Kilometre stretch from the so-called 10 miles, what I saw was not any different from what I had already seen back in Lusaka east. Not a single field has green or fully matured maize. Here and there you see some green cotton and sunflower. However, these crops are not grown on a large scale and certainly not by a lot of farmers. “Not a single farmer will have a harvest this year. No-one will even taste green maize. It is all gone,” one villager told me. Another one said to me, “Last year (2017/19 season) we had a dry spell but towards the end, we had good rains which resulted in some harvests. This year, we have had no rain since February.” A village headman was more worried about water for the animals. “This is March but the stream (Chuunga) is already ‘breaking up,” he lamented. Earlier during the day, I met a CEO of one of the largest milling companies, which has depots across the country. As I expressed my worry about the impending price hikes in stock feed prices as a result of what I had seen so far, he said to me that his firm does not expect maize from about half of the country. Sadly, parts affected include districts in Region II (Lusaka, Central and Eastern provinces), which often get normal rains. He said farmers in Choma told him that they are actually more worried about not having enough water for themselves and their animals than about food security. That’s serious! To my mind, the fact that about half the country will not even have enough to eat is a national disaster. I think we have a disaster even worse than what is being experienced in Zimbabwe and Mozambique due to Cyclone Idai. If the national harvest falls below the national annual requirement, money has to be found from the already (evidently) stressed coffers to source food from other parts of the world. That’s a huge national undertaking. Those who were old enough will remember the infamous yellow maize fiasco of 1992/3. It takes a lot of time and effort to successfully undertake such a national operation. Then on Tuesday I had time to tune to one of my favourite radio stations, Parliament Radio. I tell you what, I couldn’t believe what I was hearing from Parliament. The MPs were debating ‘morals’ and ‘values’. Really? Half the country faces imminent starvation in the next few weeks when last year’s harvest runs out, our Parliament is made to debate ‘morals’ and ‘values’? The National Assembly exists primarily to make laws. So I wondered, what laws are expected on morals and values? Is this a top priority and an emergency right now? When will the house of laws and the people’s representatives deal with the eminent national crises? When will the executive get first-hand information on the situation on the ground in order to respond informatively? Soon you will hear they have adjourned sine die. Is it just ‘ba some of us’ who have our priorities wrong or living in the wrong world? Strange times indeed! The author is media and communication scholar, research fellow and PhD candidate based in South Africa. ask your HH to do something about it, after all he is a magician and he can fix it. The !d!ot at 1.1 in case you never noticed HH is not the president, dull cadre. Problem with us is simple… we are slow to act. In all matters of fact, we live in a world of fiction. We gladly brew a deeper debt crises, and expect to be congratulated about it. Parliament debate morals and values and yet Parliament motel is a actually a brothel for these fake MPs. We told these people to set a reasonable price for maize so that more farmers can be encouraged to grow the crop. Last year we had very few farmers that grew the crop because they were discouraged by the maize floor price and the evil antics of millers who are really the ones who are to blame for discouraging farmers with the low buying price and their evil acts to influence govt over setting a low maize floor price. Should we have a hunger crises I hope this govt will finally learn to trust the farmers over these fat greedy Greek millers. @ 2020vision…you are very correct. In my case in the 2016/2017 agricultural season I did almost 10 Hectares of Maize, the price was so low at 60 per 50kg, I was discouraged and in the 2017/2018 agricultural season I did 3 Hectares and again the price was so low at K65 per 50kg, I was discouraged further, so this agricultural season 2018/2019 I have done only 2 Limas (0.5 Hectares) just for me to consume. This is the trend with all the farmers in Zambia…. so this year, compounded by the drought expect maize importation. debating “morals” and “values” whilst enjoying subsidized accommodation, food and drinks in the “slaughter house”? Check the water levels in Lake Kariba. They are falling daily at a time of year when they should be rising. Black outs areas load shedding vare very likely. In fact steps should be taken now to reduce power consumption perhaps with some limited load shedding to avoid the need for more severe load shedding later. They enact laws of ukulyamwibala, no tusaka twandalama kkkkk mappets. The repercussions of going against the Word of God in Romans 13. Only those parts of the countries that have done so and continue to do so will suffer drought and lack. Repent, God is Good and May relent. This is an issue for the cabinet than parliament. Parliament normally has a timetable of motions, etc, cabinet not so much. A member of the cabinet the vice president who also happens to head DMMU has no clue whatsoever on what needs to be done other than politicking. Reports where supposed to be done and presented to parliament like yesterday by the vice president but it seems to be too busy with God knows what. All the people in govt are clueless and the DCs too who should be relying Information are preoccupied with clueless politicking and as.skissing, pretending as if all will be well. Bakamifonkola pamala. Lekeni ateke yalaba lekeni fiskipper fisele. Few weeks ago the president said that Zambia has enough food to feed the whole nation. Let us not make a fuss out of this issue. The VP had issued a statement in Parliament that the current situation doesn’t warrant the declaration of a state of calamity or whatever that can be called. I suppose the VP had data from the technocrats. This issue has been discussed in parliament earlier this year. We were assured that we should not be worried for the country is food secure. In addition we were told the crop forecast survey was under way and hence the country will have a true picture of food security when the results are out. Hope you have gotten some information on this issue. I cannot believe the author is a PhD student who does not understand how parliament functions. Of course he has a valid point but there are structures that need to deal with this drought. These are the ones he should have directed his article to. I will forward the article to DMMU in the vice president’s office for action. The author is a LIAR to state that he came from S.A. to know about shortages of rainfall. He just visited Southern province.In southern province a “SONG OF DROUGHT “ is real and people are in dire panicky right now. I was there too , for sure ,southern province is in total drought.Fields and rivers dried up since January. Stupid?The writer knows that parliament has schedules, but these can be suspended and have been suspended to discuss critical national issues. Where was the Met Office? Where was the Ministry if Agriculture? Where is sensitisation of the public about the impending situation? How do you justify starvation in the hight of 4th industrial revolution? Xenophobic uneducated South Africans produce and export food without single drop of rain. Wake up!!! I wonder who is educated.